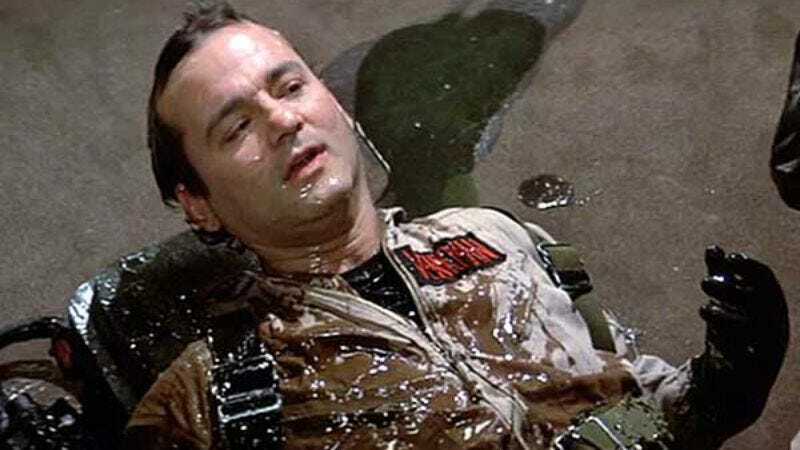 After openly questioning whether Ghostbusters 3 would happen—which is, regrettably, not the same as wondering whether it should happen—it seemed as though Dan Aykroyd had been whacked up with about 300 cc's of Thorazine and was gonna take a little nap now, finally ready to let the project rest at last. But today it's been levitating, twitching off the bed to growl anew, with Variety reporting that Etan Cohen of Tropic Thunder and, more applicably, Men In Black 3 fame has been hired to try to surpass similarly lowered expectations on another long-dormant sci-fi franchise about wisecracking dudes investigating supernatural activity, and rewrite the original script from Year One scribes Lee Eisenberg and Gene Stupnitsky that famously didn't meet the approval of longtime holdout Bill Murray. And considering Murray was already fooled into making Garfield after confusing Joel Cohen with one of the Coen Brothers, the reasoning behind hiring Etan Cohen seems all the more obvious. Read more closely this time, Bill Murray.